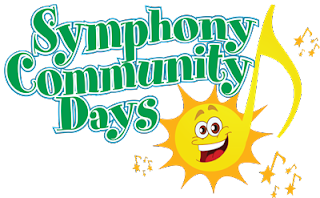 This season’s very first Symphony Community Day happens on Saturday, October 24th, and is a free musical event at the Port Theatre for kids 6 to 96. At this downtown event you can try out the instruments of the orchestra at the Musical Instrument Zoo; meet conductor Pierre Simard and attend the symphony rehearsal from 12:30 - 1:30 p.m.
Complimentary tickets must be booked for this event through the Port Theatre Ticket Centre at 250-754-8550. Vancouver Island Symphony is keeping music LIVE - come join us for yet another awesome downtown Nanaimo event.